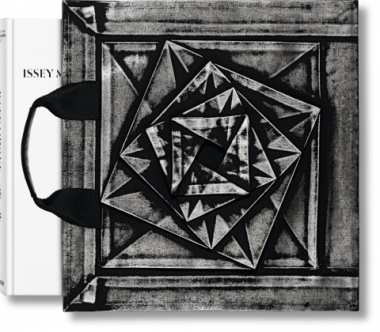 This limited Collector’s Edition offers a definitive history of Issey Miyake design. Initiated and conceived by Midori Kitamura, the monograph traces Miyake’s material and technical innovations since the earliest days of his career, including the Body Series of the 1980s and such practical, everyday designs as Pleats Please pieces. Collector’s Edition of 1,000 numbered copies, each with Miyake’s own ‘inkan’—a traditional Japanese seal equivalent to a signature and used in daily Japanese life for all official paperwork. The book is presented in an original book bag, designed by the Miyake Reality Lab, with folded shapes and pressed foil techniques from the 132 5. ISSEY MIYAKE project. In 1983, Japanese designer Issey Miyake told The New Yorker that he aspired “to forge ahead, to break the mold.” With the boundary-defying fashion lines that followed, he not only broke molds, but recast clothing altogether. This TASCHEN Collector’s Edition, initiated and conceived by Midori Kitamura, offers an expert history of Issey Miyake design. 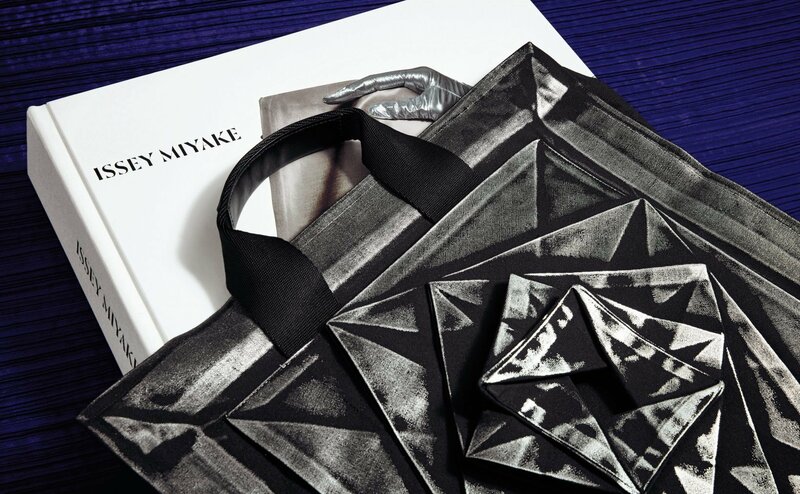 Presented in an original MIYAKE-designed book bag, the book traces Miyake’s texture-driven originality from the earliest days of his career, when he first expressed his commitment to clothing as a field for enduring design rather than changing fashions. Through clothes based on A Piece of Cloth concept, Body Series of the 1980s, Miyake Pleats series, and such practical, everyday designs as Pleats Please pieces, Kitamura draws on more than 40 years of collaborative work with Miyake to create an encyclopedic reference of his material and technical innovations. It bears witness not only to Miyake’s ongoing exploration of the relationship between a piece of cloth and the body, but also to his singular blend of tradition, futurism, and function. The book is stamped with Miyake’s own “inkan”—a traditional Japanese seal equivalent to a signature and used in daily Japanese life for all official paperwork. Photographs by Miyake’s contemporary Yuriko Takagi capture his clothes in their particular quotidien originality, including a breathtaking shoot in Iceland. In her far-reaching essay, meanwhile, leading cultural figure Kazuko Koike offers both a complete career chronology and a personal profile of Miyake to explore the ambition and inspirations that have driven his visionary work. Collector’s Edition of 1,000 numbered copies, each with Miyake’s own “inkan”—a traditional Japanese seal equivalent to a signature and used in daily Japanese life for all official paperwork. The book is presented in an original book bag, designed by the Miyake Reality Lab, with folded shapes and pressed foil techniques from the 132 5. ISSEY MIYAKE project.